is prohibited without our permission. You may not modify, distribute or repost anything on our website for any purpose. We have taken care in the preparation of the content of our website and in store literature and that all goods have been described accurately. Any weights, dimensions and capacities given about the goods are approximate only. We try to ensure that our website is free from viruses or defects. However, we cannot guarantee that your use of this website or any websites accessible through it will not cause damage to your computer. It is your responsibility to ensure that the right equipment is available to use the website. Except in the case of negligence on our part, we will not be liable to any person for any loss or damage which may arise to computer equipment as a result of using our website. Delivery charges vary according to the location of the delivery address. essence. If delivery is delayed, we will contact you and either agree a mutually acceptable alternative date, or offer you a full refund. 8.2 You will become the owner of the goods you have ordered when they have been delivered to you. Once goods have been delivered to you they will be held at your own risk and we will not be liable for their loss or destruction. 8.3 No responsibility will be accepted for any damage incurred when customer orders our vehicle off the public highway to effect delivery. your own courier, then the risk passes to you as soon as the goods are handed to you or your courier. You will only own the goods once they have been successfully delivered. 10.1 If you are not satisfied with any good purchased from us you have the right to return them in exchange for a refund or replacement within 14 calendar days. This excludes made to order items or powdered products. 10.2 Should you wish to cancel your order, you can use the cancellation form provided at the end of these terms and conditions, or alternatively you can notify us by any other clear statement. 10.3 If you have received the goods before you cancel your contract then you must send the goods back to our contact address at your own cost and risk during our business hours in the original packaging. If you cancel your contract but we have already processed the goods for delivery, you should not unpack the goods when they are received by you and you must send the goods back to us at our contact address at your own cost and risk as soon as possible. 10.4 Once you have notified us that you are cancelling your contract, and we have either received the goods back or, if earlier, received evidence that you have sent the goods back, we will refund any sum by the original form of payment within 14 calendar days. 11.1.3 One or more of the goods you ordered was listed at an incorrect price due to a typographical error or an error in the pricing information received by us from our suppliers. 11.2 If we do not process your order for the above reasons, we will notify you as soon as possible and will re-credit to your account any sum deducted by us from your credit/debit card as soon as possible, but in any event within 14 days. 12.2 We are under a legal duty to supply goods that are in conformity with this contract and in accordance with the Consumer Rights Act 2015 (the Act). cost of postage or collection. 13.1 Unless agreed otherwise, if you do not receive goods ordered by you within 30 days of the date on which you ordered them and decide to cancel the order rather than re-arrange delivery (in accordance with clause 11), we will provide you with a full refund. 13.2 We are only responsible for losses that are a natural, foreseeable consequence of our breach of these terms and conditions. We do not accept liability if we are prevented or delayed from complying with our obligations set out in these terms and conditions by anything you (or anyone acting with your express or implied authority) does or fails to do, or is due to events which are beyond our reasonable control. 13.3 Furthermore, we do not accept liability for any losses related to any business of yours including but not limited to: lost data, lost profits, lost revenues or business interruption. other permits to purchase goods from us. The importation or exportation of certain of our goods to you may be prohibited by certain national laws. We make no representation and accept no liability in respect of the export or import of the goods you purchase. 13.5 Notwithstanding the foregoing, nothing in these terms and conditions is intended to limit any rights you might have as a consumer under applicable local law or other statutory rights that may not be excluded nor in any way to exclude or limit our liability to you for any death or personal injury resulting from our negligence. You have certain rights as a consumer including legal rights (e.g. under the Act) relating to faulty and/or misdescribed goods. our website from time to time or given to you verbally. time and you should look through them as often as possible. enforceability of any other part of these conditions will not be affected. 19.1 Alternative dispute resolution is a process where an independent body considers the facts of a dispute and seeks to resolve it, without you having to go to court. If you are not happy with how we have handled any complaint, you may submit the dispute for online resolution to the European Commission Online Dispute Resolution platform. available in the manufacturers brochures or are available from us on your request. here, and in a way that is consistent with our obligations and your rights under the law. 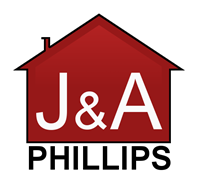 J & A Phillips Builders Merchants.Limited company, registered in England and Wales under company number 08959963. Registered address: Unit 3 Uskway Industrial Estate, Newport. NP20 2DS. VAT number: 379051632. For more information about our use of your personal data or exercising your rights as outlined above, please contact us using the details provided in Part 11. Further information about your rights can also be obtained from the Information Commissioner’s Office or your local Citizens Advice Bureau. If you have any cause for complaint about our use of your personal data, you have the right to lodge a complaint with the Information Commissioner’s Office. a) Supplying our products or services to you. Your personal details are required in order for us to enter into a contract with you. b) Communicating with you. This may include responding to emails or calls from you. and the Privacy and Electronic Communications (EC Directive) Regulations 2003, and you will always have the opportunity to opt-out. the details in Part 11.
has been accepted or declined. We remain compliant with the Payment Card Industry Data Security Standard (PCI DSS) version 3.2 and is reviewed on an annual basis. We use Credit Focus to assist us in making a decision when a customer applies for a credit account. This is an information only website and does not make any decisions for the company. b) All confidential waste is kept in a locked cabinet and is destroyed on site every 8 weeks. a) Concrete Manufacturers for direct loads (on customer request) of Blocks. The companies we use are Gryphonn Concrete and Castle Concrete Products. b) Sand and Stone Suppliers for direct loads (on customers request) of Aggregates. The companies we use are Severn Sands and Alan Counsell. in legal proceedings or complying with legal obligations, a court order, or the instructions of a government authority. Postal Address: Unit 3 Uskway Industrial Estate, Newport. NP20 2DS. business in a way that affects personal data protection. Any changes will be made available on our website www.jandaphillipsbuildersmerchant.co.uk or a hard copy can be requested.